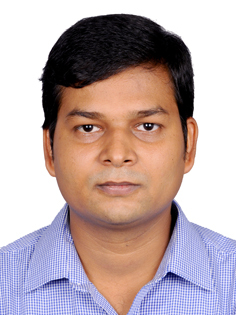 Sanjeev Singh was born in a village of Bhojpur district in Bihar in August 1988. After completing his school education from Ballia, Uttar Pradesh, he came to Ewing Christian College, Allahabad in 2004 to complete B.Sc. He completed M.Sc. in Mathematics from Indian Institute of Technology Madras in 2010. He worked as a lecturer in Mathematics at the Rajiv Gandhi University of Knowledge Technologies Basar (State Govt. University), Andhra Pradesh from July 2010 to December 2011. He came back to IIT Madras in December 2011 and completed his PhD in November 2016 under the supervision of Prof. S. Ponnusamy and Prof. A. Baricz. Before joining IIT Indore as an Assistant Professor in September 2017, he was an Institute Pre-Doctoral Fellow at Department of Mathematics, IIT Madras from June 2016 to December 2016; a Postdoctoral Fellow at The Indian Statistical Institute Chennai Centre from December 2016 to June 2017 and a SERB - National Post Doctoral Fellow at IIT Indore from June 2017 to September 2017. His area of research is Special Functions, Differential Equation and Geometric Function Theory.